In the national capital, gold of 99.9 and 99.5% purity fell by Rs 140 each to Rs 30,710 and Rs 30,560 per ten gram, respectively. However, as compared to last year's Dhanteras, gold prices have gone up marginally by Rs 120. Even on on Dhanteras, gold price failed to shine primarily due to a weak global sentiment, experts said. The yellow metal did witness some token buying on Dhanteras, a day considered auspicious for buying gold, silver and other valuables. However, a subdued overseas trend failed to lift its appeal, news agency Press Trust of India (PTI) reported. Even on Dussehra, gold sales were soft. 1) Gold price plunged by Rs 140 to Rs 30,710. In the national capital, gold of 99.9 and 99.5 per cent purity fell by Rs 140 each to Rs 30,710 and Rs 30,560 per ten gram, respectively. 2) In futures trading at the Multi-Commodity Exchange (MCX), gold for delivery in December too was down by Rs 104, or 0.35 per cent at Rs 29,750 per ten gram. 3) In the international market, gold fell 0.45 per cent to trade at $1,288.70 an ounce in Singapore. 3) However, as compared to last year's Dhanteras, gold prices have gone up marginally by Rs 120, or 0.39 per cent. 4) Bullion traders said sales were higher by up to 20 per cent on a daily basis as people bought gold as an investment. 5) The government's revocation of an order that mandated Permanent Account Number (PAN) and Aadhaar for purchases above Rs 50,000 also spurred retail buying but weak trend overseas weighed on gold prices. 6) The dollar strengthened against a basket of major currencies. Thus investors were not much interested in the safe haven metal. This led to the fall in gold prices. 7) Experts are not very hopeful of an uptick in gold demand during Diwali. "Even this Diwali, we will see gold buying like every year but nothing overwhelming that significantly lifts demand. This again, in a way, is a reflection that India continues to remain a price taker and global macros continue to set the price of gold. Given that the dollar index has appreciated over the past two days, some correction in gold prices is being seen despite auspicious buying during Dhanteras," Chirag Mehta, Senior fund Manager, Alternative Investments, Quantum Mutual Fund, told NDTV. 8) Investors pulled out Rs 388 crore from gold exchange-traded funds between April to September 2017, PTI reported. 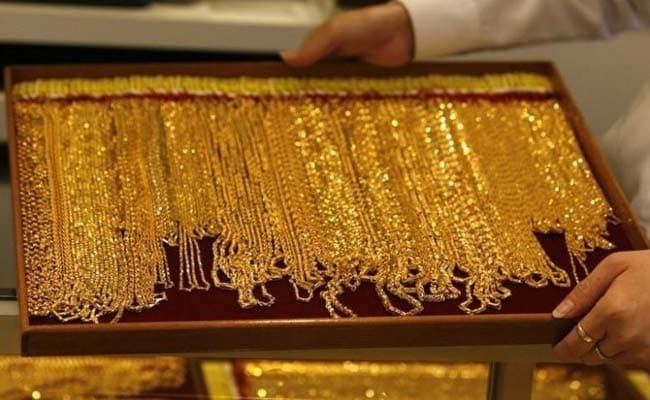 9) Meanwhile, MCX on Tuesday launched the country's first gold options contracts, news agency Reuters said. "Gold Option contract, with Gold (1 Kg) futures as underlying, expiring on November 28, 2017, and January 29, 2018, are made available for trading from today," the exchange said in a statement.